So who was the heckler? 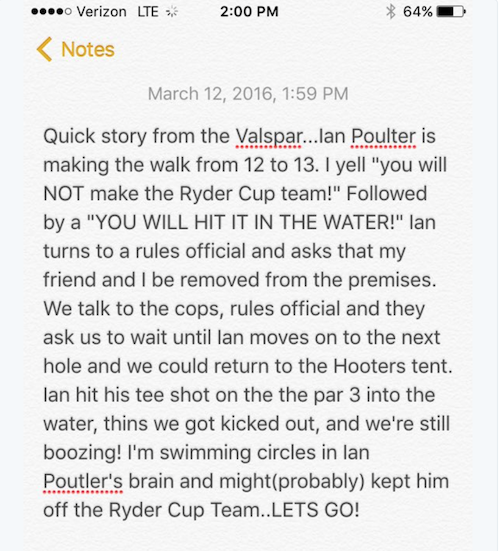 Ian Poulter was on the receiving end of some heckling at the Valspar Championship this weekend, and Poults was having none of it. He tried to get the perpetrator sacked from his day job. This is what occurred. Poulter was playing his second round, which would finish with a 75. He still managed to make the cut, and finished the tournament tied 67 on nine over. But he wasn’t having it from the heckler, who also Tweeted him and messaged his friends with the story. The heckler turned out to be J.J. Downum, the Assistant Athletic Director for Development at Florida Southern College. 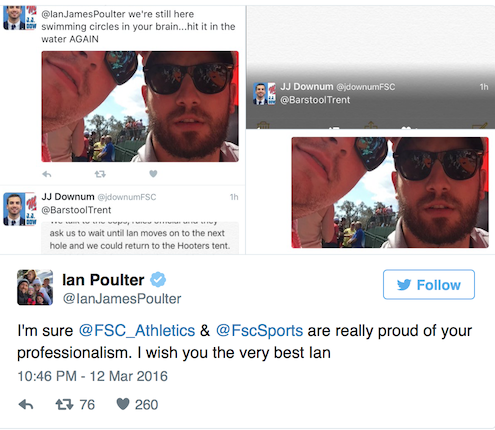 And this was how Poults responded. We don’t know what fate has since befallen J.J. Downum, and whether or not he still has his job. Is this a taste of what’s to come at Hazeltine? We hope not, but we know it is going to be ultra feisty – especially if Europe do well. Clearly Poults is still a thorn in the side of the Americans. Should he be picked to wind them up? 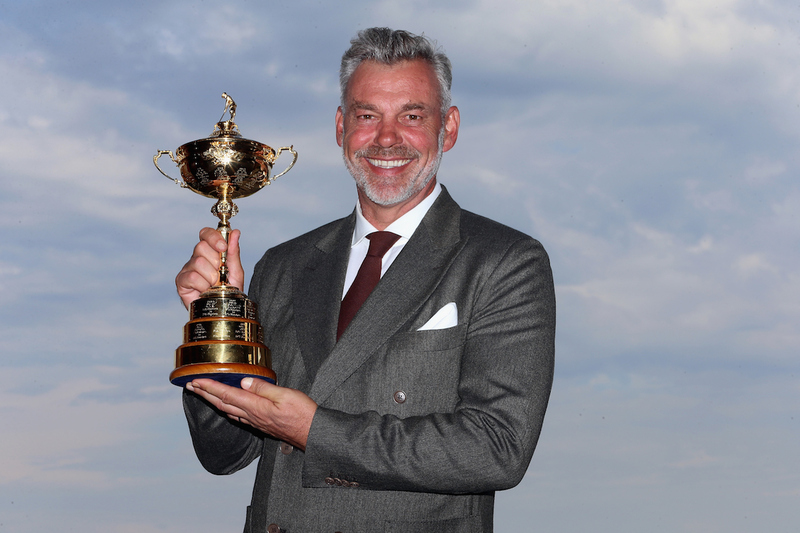 For more on the Ryder Cup click here or on the image below to read about the 'Trophy Tour' which is to be launched by Darren Clarke. They were asked to wait before they could return to the Hooters tent. Says it all really. Also sad that a guy involved with college sport would decide to heckle players. what a prat.